The highly-awaited HOSPACE 2012 Annual Conference has been scheduled for November 22, 2012 at London. This is among the most talked about events in the niche of hospitality business, covering critical topics such as revenue management and hospitality IT trends. This year’s theme has been titled as “’Taking the Investment Forward”. HOSPACE (HOSPA Conference and IT Exhibition) 2012 seeks to present a more innovative approach to investments driving the hotel industry and help participants gain from meaningful dialogue about management practices that can deliver profitability. HOSPACE 2012 is sure to be attended by industry experts. Themed discussions like the “’Hospitality IT Debate” to discuss the pros and cons of outsourcing hotel IT services are already generating a lot of interest. Some educational workshops too are likely to help hospitality professionals update their skills. The event is proposed to showcase the best in hotel technologies addressing every aspect of IT or technology for hospitality businesses whether they are enthusiastic start-ups or established multi-chain hotel brands. For many property owners/managers, HOSPACE 2012 is among the most valuable opportunities to get connected with like-minded professionals and expand their networking. The scheduled panel discussions and workshops conducted by the CPD (Continuing Professional Development) further underline this fact. HOSPA or the Hospitality Professionals Association for Finance, Revenue Management and IT was conceived through the British Association of Hospitality Accountants (BAHA). 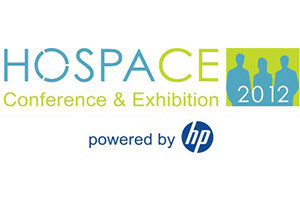 For more information on HOSPACE 2012, you can visit: www.hospace.net.